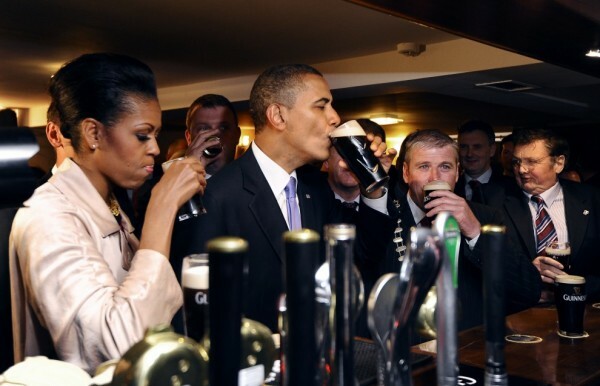 Gargle Nation: Does the Irish government prefer its citizens drunk? Does the Irish government prefer its citizens drunk? As Karl Marx said, "the illusory happiness of the people is required for their real happiness". Not a producer of opium, and with its church discredited after the industrial schools scandal, what better illusory happiness for the Irish than alcohol? Why else is the Irish government making moves to scupper its own initiative to curb sales of alcohol, a problem which has catapulted Ireland to what journalist John Waters calls "the top of the pisshead premiership"? Of course there is tax revenue to be had from alcohol and there are powerful lobbies at work but these 'benefits' are far outweighed by the health service bills, social problems and lost work days resulting from Ireland's rampant booze problem. So the question arises - do the politicians see alcohol as an intrinsic part of selling the austerity package to the people? Do they prefer us pissed? "When foreigners ask me to explain why the Irish people have not revolted against the incomprehensible and unjust burdens being placed on them, I tell them to look at the drinking statistics. Alcohol is functioning as a highly effective instrument of artificial social cohesion. It is the main reason why people are not marching in the streets or pulling the gates of Government Buildings off their hinges". "Behind the spectacle of the burning banks in Greece lies a deeper process, a quieter movement of people refusing to pay bus fares, electricity bills, motorway tolls, bank debts; a movement, born of necessity and conviction, of people organising their lives in a different way, creating communities of mutual support and food networks, squatting empty buildings and land, creating community gardens, returning to the countryside, turning their backs on the politicians (who are now afraid to show themselves in the streets) and creating directly democratic forms of taking social decisions". In Ireland that just isn't happening. While many choose to spend their leisure time drinking at home the protests at Occupy Dame Street and Ballyhea are finding it difficult to build the numbers. "many people are worried about being seen protesting, fearing it may affect their jobs, or their ability to borrow money from the banks....many Irish people just feel too despairing to believe they can make a difference. People are angry, no doubt about it. On the sidewalk they shout: 'Well done! Good stuff! Keep it going,' and we would say: 'Fall in with us, we are only walking up as far as the church and down to the library.' But no. People almost universally support what I am doing, but they think it is a waste of time. People feel powerless". In publicising the unfairness of the austerity measures and the culpability of the banks, the protestors at Occupy Dame Street have recognised the need to be sober while building a functioning new society. In contrast to former Taoiseach Brian Cowen who was reportedly no stranger to the Dail bar, the Dame Street protestors have banned alcohol from their camp and all associated events. As protestor Sean Creagh explains "the plan is to keep the peace at the camp. The organisers have banned alcohol and drugs from it and will help the police to extract anyone breaking that rule". In the absence of an alternative, the protest can claim to be the articulate and sober voice of the real people. While the Dame Street protestors shiver in tents outside the Central Bank, those inside the bank system have reached a different view of alcohol. Many of the 74,000 homeowners defaulting on mortgage payments have been asked to complete a 12 page finance review which offers them a payment holiday in return for cutting down on pretty well everything else. On the banks hit list for borrowers to default on are school fees, health insurance, television subscriptions and a commitment to "shop in discount stores like Aldi or Lidl instead of local shops or supermarket chains." Nothing, it seems, is more important than keeping up payments to the banks. So Ireland has its priorities set: unregulated booze and out of control banks. It is now famous for both. but not necessarily proud of either. Brendan Gleeson's lead character in The Guard is warned not to 'show us up... in front of the American". As crowds queued for Obama’s speech, a Garda had the same concern: “No alcohol allowed” he shouted on a loudspeaker. The crowd of 3000+ sarcastically replied “noooooooooooo!” Garda on loudspeaker: “lads this is serious”. Not serious enough, apparently. I think you are giving our government too much credit for guile when you suggest that alcohol is being used to pacify the populous. Their decisions to date in almost every area show them to be a bunch of ejits in search of a clue. You also have the wrong end of the stick when you refer to the National Substance Misuse Steering Group report as our government’s initiative to curb sales of alcohol. It is a recommendation to government, not a policy document. I would also like to point out that, as you are aware, sales have been falling all by themselves. The fact that alcohol related harm is rising at the same time must surely make you wonder how any approach designed to reduce alcohol sales can be expected to reduce alcohol related harm. “unregulated booze” you say? I thought we had put this to bed. Alcohol is heavily regulated in Ireland. 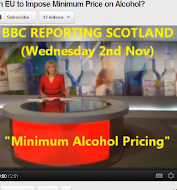 The problem is alcohol misuse, not alcohol itself. 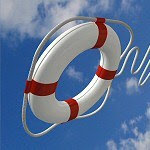 Reduce binge drinking and you will reduce alcohol related harm. Reducing per capita sales is not an effective way of reducing binge drinking.